Verification: Macedonians ask for protection of the Holy Roman Emperor, Leopold I, 1690! Here are four independent sources verifying the authenticity of the letter posted HERE. 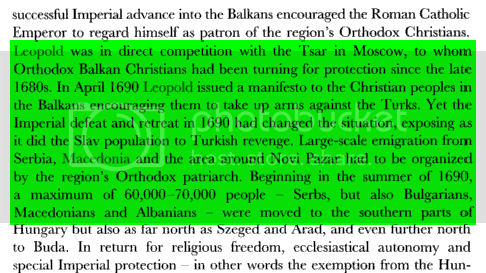 From the book “Macedonia and Greece: The Struggle to Define a New Balkan Nation” By John Shea, 1997, page 60. 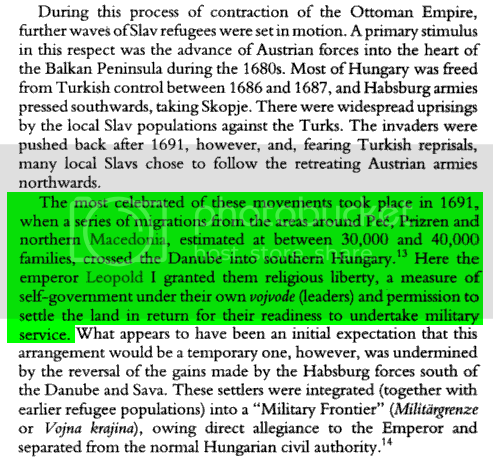 From the book “Austria’s Wars of Emergence: 1683-1797″ By Michael Hochedlinger, 2003, page 162. From the book “Explaining Yugoslavia” By John B. Allcock, 2000, page 154. From the book “The Habsburg Monarchy, 1618-1815″ By Charles W. Ingrao, 1994, page 81.